Just realizing that writer's block is really an irrational fear that keeps us from putting pen to paper is half the battle. It's actually a fear of the unknown, often coupled with a fear of failure. We secretly wonder just what exactly is going to come out of this pen/keyboard, and when it does, will we be revealing some kind of incompetent idiot who doesn't know what they're talking about? On the other hand, if we have done the proper preparation, our rational mind knows that we can do it just like we did it all of those other times before. Unfortunately, fear often wins the day when it comes to writing. 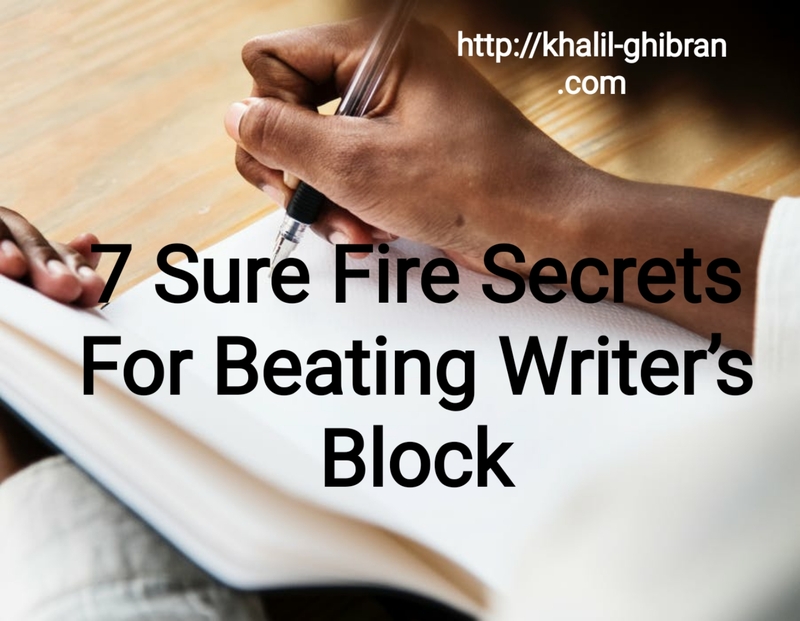 As I stated above, I suffered from writer's block for many years and it was not the most enjoyable of experiences. Before trying to write, it is important to prepare mentally for a few hours or days (depending on the size of the task) by mulling the writing project over in the back of your mind. (Just as athletes don't like to peak too soon, writers shouldn't write too soon either!). Don’t worry; your sub-conscious mind will be working away on the problem while you are doing other things. Read over whatever background material you have so that it is fresh in your mind. I read through all background material carefully marking important points with a yellow hi-liter and then review it all before I start to write. This is the material that your sub-conscious mind need so it can do it’s job in the background while you are doing other things. Before sitting down to write, put together a simple point-form list of all of the key points you want to cover, and then organize them in the order in which you are going to cover them. (I know, I know... your Grade 6 teacher told you the same thing... but it actually does work). When you sit down to write, make sure that all of your key background materials are spread out close at hand. This will allow you to quickly refer to them without interrupting the writing flow once you get going. I keep as many of the source documents as possible wide open, and within eyesight for quick and easy reference. Yes, that's exactly what you do. Once you have prepared mentally and done your homework you are ready to write, even if your writer's block is saying "no". Just start writing any old thing that comes to mind. Go with the natural flow. In no time at all you will get into a rhythm, and the words will just keep on flowing. Once the words start to flow, don't worry about making it perfect the first time. Remember, it's your first draft. You will be able to revise it later. The critical thing at the outset is to write those thoughts down as your mind dictates them to you. Get an actual sample of the type of document that you need to write. It could be something that you wrote previously, or it could be something from an old working file, or a clipping from a magazine article, or a sales brochure you picked up. As long as it is the same type of document that you are writing. Whatever it is, just post it up directly in your line of sight while you are working. You'll be amazed at how it helps the words and ideas flow. The main thing is to have an example to act as a sort of visual template. 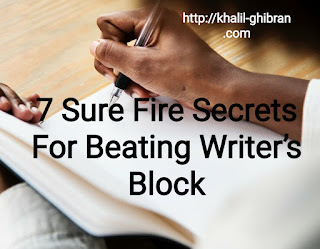 In my experience this last point is the ultimate secret for overcoming writer's block.